Property shares: Reason for concern, or an opportunity? The unchanged repo rate is good news for consumers and property owners, especially those with mortgage bonds, said a property expert. Stuart Manning, CEO of the Seeff Property Group commented on the SA Reserve Bank's (SARB) Monetary Policy Committee (MPC) decision on Thursday to keep interest rates at 6.5%. The base home loan rate stays the same at 10%. Manning said the MPC's move was largely anticipated by the market given the better than expected consumer inflation figure of 4.6% for June, despite the weaker exchange rate. He added that aside from the economic pressure, the "political noise" and policy uncertainty around land expropriation remains a concern for the property market. It has made many buyers, especially at the top end of the market and those who do not have to buy right now, hesitant - both local and foreign buyers alike. "Many sellers are still making good deals as they adapt to the changing conditions. They may not be seeing stellar profits, but they are still making money," he said. "When the sales side of the property market scale tips and finances are under pressure, the rental side of the market tends to go up with more demand for rental property." According to the Pam Golding Residential Property Index, national house price inflation of 4.54% in June is up from 4.04% in January - marginally higher than the first six months of the year’s average house price inflation of 4.25%. 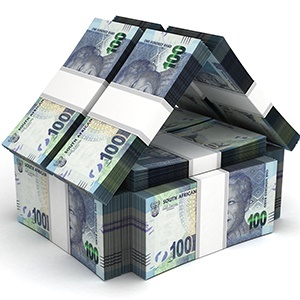 “With household finances under pressure and a young population, we have already seen the lower end of the housing market experience an uptick, particularly as the average price for first-time buyers is estimated by ooba at R939 000," commented Dr Andrew Golding, chief executive of the Pam Golding Property group. “We are seeing countrywide in relation to Pam Golding Properties’ sales, that well-priced homes under approximately R2.5m are selling well to a cross-section of buyers, including investors," he said. The housing market in Gauteng is showing signs of recovery, "particularly in the North" and in Pretoria, according to Golding. As for Durban and the North Coast regions of KwaZulu-Natal (KZN) and the Eastern Cape coastal regions, he said Lightstone statistics reveal that the coastal metro housing markets – defined as being within 500m of the coastline - are continuing to outperform non-coastal markets. “While the Cape Town metro market is slowing, this was to be expected as activity here has run ahead of the prevailing economic conditions and it makes sense for the market to consolidate after several years of above average price growth," said Golding. "Certainly, the drought also impacted on the housing market and this is currently coupled with the fact that winter seasonal demand is traditionally slower in the Western Cape, but we believe these are temporary concerns." “We expect the effect of the fuel price increases to further impact on consumers’ desire to reduce commutes and live as close to the workplace as possible, and with increasingly sophisticated digital technology and many employers offering flexible working hours, increasingly work from home," said Golding. “The prime lending rate sets the tone for the property industry and suggests that the government is satisfied with the current trajectory of the economy and is adopting a ‘wait and see’ approach with regard to global economic factors," said Greeff.